Buy an Understanding calligraphy wall scroll here! 6. If you have not been a monk, how can you know what it is like to be a vegetarian? This title speaks of reaching an understanding (of Zen or the world). It also means "to practice meditation." The two concepts lead you to the idea that meditation leads to understanding. 參禪 is pretty deep, so you can do your own research, or decide what this means for you. This can also be defined in a more complex way as "thoroughly penetrating with meditative insight." 悟性 means the power of understanding and insight in Chinese. 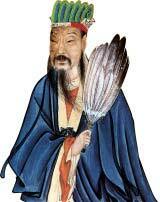 It is often associated with Neo-Confucianism. In that regard, it means to realize, perceive, or have the perception of man's true nature. It can also mean to find your soul, the soul of others, or the soul of the world. Some will translate this simply as the state of being "savvy." In Japanese, this is often translated as wisdom and understanding. If you have not been a monk, how can you know what it is like to be a vegetarian? [One who has] not been a monk [does not] know the suffering of [being on a] vegetarian diet. This is a bit like the "walk a mile in another man's shoes" saying. Basically it's about you cannot fully understand the plight of others until you experience it yourself. Some people may refer to this entry as Understanding Kanji, Understanding Characters, Understanding in Mandarin Chinese, Understanding Characters, Understanding in Chinese Writing, Understanding in Japanese Writing, Understanding in Asian Writing, Understanding Ideograms, Chinese Understanding symbols, Understanding Hieroglyphics, Understanding Glyphs, Understanding in Chinese Letters, Understanding Hanzi, Understanding in Japanese Kanji, Understanding Pictograms, Understanding in the Chinese Written-Language, or Understanding in the Japanese Written-Language. 112 people have searched for Understanding in Chinese or Japanese in the past year.